As we mentioned last newsletter, we have started a new publication release format with titles increasingly being made available both on CD and as a digital download. This makes them cheaper and removes the cost of postage. We are pleased to announce therefore that we have twenty-four of our older titles now available as digital downloads this newsletter. View the list of titles now available as digital downloads. 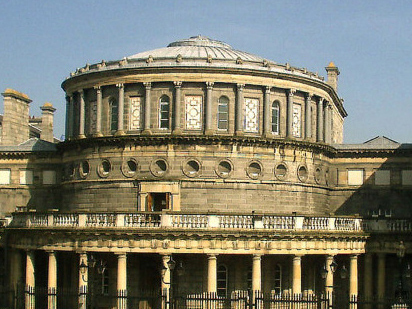 The series brings together the talent and skill of some of Ireland’s best genealogists, who feature strongly in this uniquely devised series which started on Wednesday and will run through to August 29th. The workshops are taking place in the Seminar Room at 1pm. Read more about the Summer Lunchtime Series of talks as well as the full list of talks and speakers. To celebrate Heritage Week 2012 Eneclann and findmypast.ie will be holding a special family history research day on Thursday 23rd August at the National Print Museum. Read more about this special free event. Just to remind you of our summer in Ireland competition! We’ve had some great entries so far, but the winner of the latest prize has to be Polly Cutter’s great photo of being stalked by a herd of cows while visiting an old graveyard. Polly, you win an Eneclann CD of your choice worth up to the value of €30, so do get in touch with us at marketing@localhost to arrange your prize. If you fancy winning yourself a free CD, all you need to do is enter your photo showing your ‘Summer in Ireland’, you can read how to do this on our website. Believe it or not, this is our penultimate County Focus! But this newsletter we bring you Donegal and Westmeath. 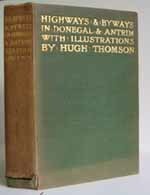 Highways and Byways in Donegal and Antrim is packed with information and lavishly illustrated travelogue. It is the only ‘Highways and Byways’ publication covering Ireland and contains much on topography, local history and folklore as well as advice on the Ulster dialect! 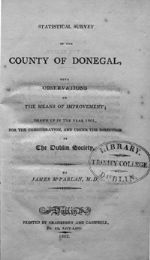 The Statistical Survey of County Donegal is exceptionally important for Donegal, where information is sparse for the early nineteenth century. It covers social and economic conditions as well as an extensive treatment of the reasons for the poor condition of many of the rural population, which he firmly blames on the excessive production of whiskey! Ballyshannon, Co. Donegal and Ballymahon, Co. Westmeath are both included in the Agricultural Labourer Part 1, one of our newly released digital download titles and available as such for only €2.64 inc. VAT! This report covers the issues of Supply of Labour, the Conditions of Engagement, Wages and Earning, Cottage Accommodation, Gardens, Benefit Societies, Trade Unions, General Relations and General Conditions. As usual, you will find both counties covered by provincial directories – County Westmeath is included in the Leinster and Dublin sections of popular Slater’s and Pigot’s, while County Donegal is in the Ulster and Belfast sections. 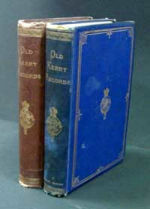 View our full range of titles for County Donegal and County Westmeath, or view what we have for your county.